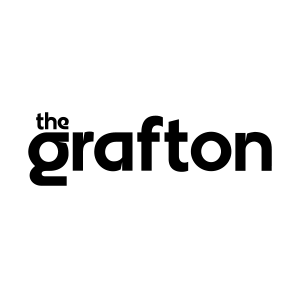 Job Role The Grafton Centre aim to provide a proactive approach to security with customer care as its highest priority whilst providing a professional approach to security. It is therefore essential that all aspects of security are delivered and every task undertaken to the highest standard. All Security will be expected and encouraged to work to the highest SIA licencing requirements possible. All security will be First Aid trained. Pro-actively ensure that the protection of merchandise, property and assets is controlled and logged. Help to create a safe and comfortable working environment for employees and visitors. Know and implement The Major Incident Management Plan, threats and evacuations as required. Respond to emergency situations as they arise. Accurately reporting all incidents to Centre Management. Use the correct radio voice procedure. Liaising with the emergency services, police, ambulance and fire service to resolve issues and maintain security and service. Checking and validating business visitor credentials. Controlling the entry and exit of vehicles. Making sure that no unauthorised personnel enter restricted areas. Answering queries from visitors to the shopping centre. Collecting statements and evidence in reported allegations. Escalating incidents when required to. Patrol as requested whilst being prepared to litter pick or deal with cleaning incidents if required to do so. Provide a high level of service to our clients with the emphasis on customer interaction. To ensure when conducting building patrol Health and Safety is adhered to at all times. To prevent unauthorised (Banned persons) from entering the premises. Conduct a thorough check of all vulnerable points of the perimeter of the buildings. Ensure all exits are secure and no risks are present. Check external areas for any suspicious vehicles and report accordingly. Staff should be aware of suspect packages being deposited in and around the building and it’s grounds and should make themselves aware of the separate procedure to be adopted should such a devise be discovered. To conduct regular checks of areas listed within the Assignment Instructions. To prevent and detect fire, water leaks, and any potential safety hazards. To carry out any reasonable request issued by management or supervision. To respond to emergencies and assist with the evacuation and searching of the buildings by following all requirements of the site Emergency Response procedures.